I hope that you all had the best Easter yesterday. We spent ours with lots of family. It was fabulous! A very special time. 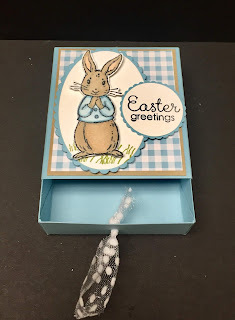 I know Easter is over but I wanted to share this quick box with you. So much fun! We made this at our Cabin Fever about a month ago. It could certainly be reworked in size or season! I just got back from Minneapolis and the Stampin' Up On Stage Event! It was so much fun!! I wanted to share a little of the fun with you! 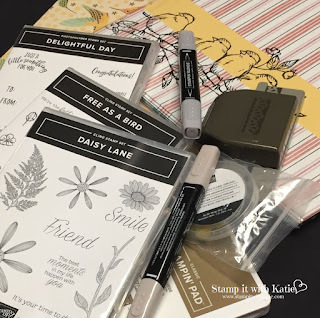 This is just a peek at some of the new items coming our way and the fun items I received at this event! 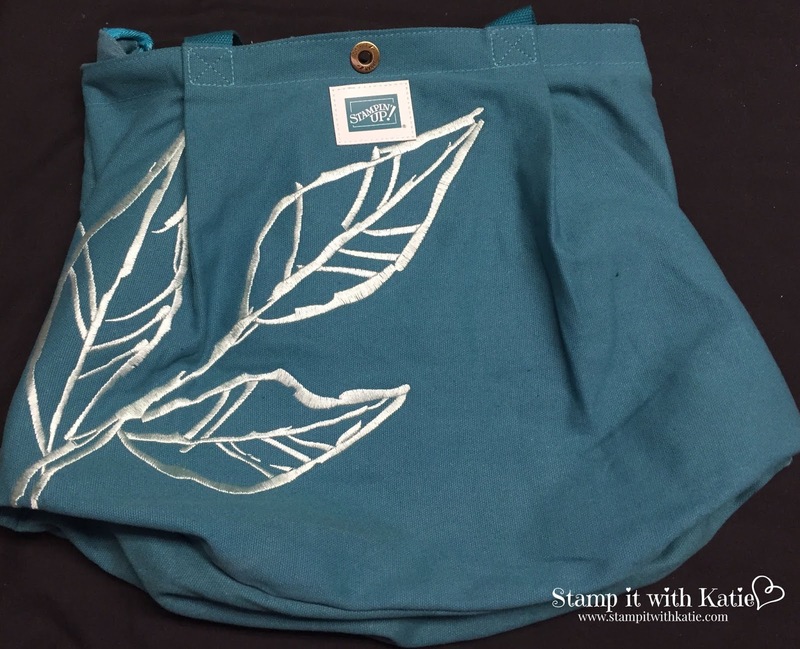 This was our OnStage Bag this year... we are always excited to see what they are going to look like... we LOVED this bag! I may even use it as a purse! We have the best team! Look at all of these treats from our team mates! There were 19 of us there! Such a great time with these ladies! And of course, I always include a selfie with Mom (& upline). We love these events... a great time for us to spend together and connect! Are you seeing a trend here? Great friends and family. Lots of connecting. 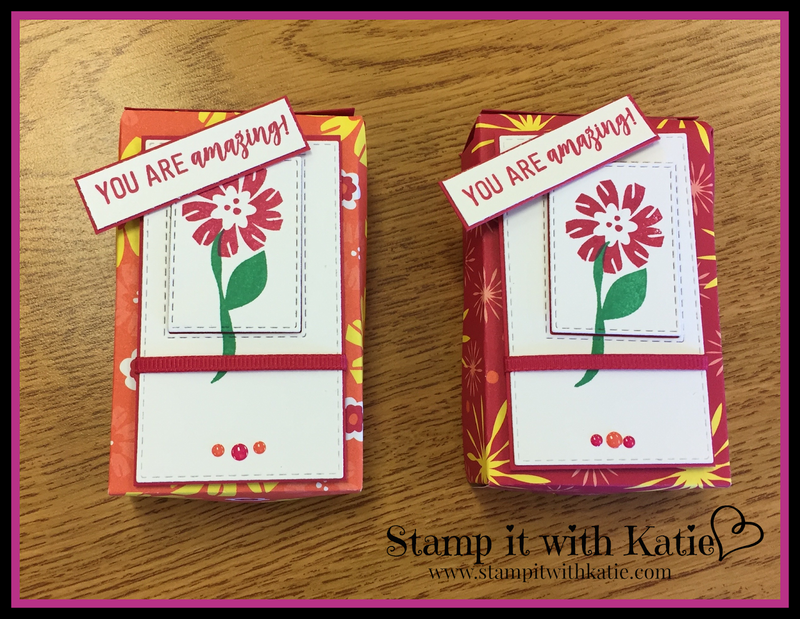 And best of all, stamping with 1,000+ ladies and gentlemen who all love what we do and can't wait to share with you! While I've got your ear... the retirement list just came out. Lots of changes! They're going to take some getting used to but definitely worth it in the end! Bloom by Bloom is a very bold collection. I love it. I think it just pops! I found this fun box on a UK Demonstrator's website. I just loved it and decided to alter the measurements and make my own. It took a few tries but I figured it out. These were another attendee goodie from our Cabin Fever event. I'm telling you, you don't want to miss out! Here is the Gingham Gala DSP again. 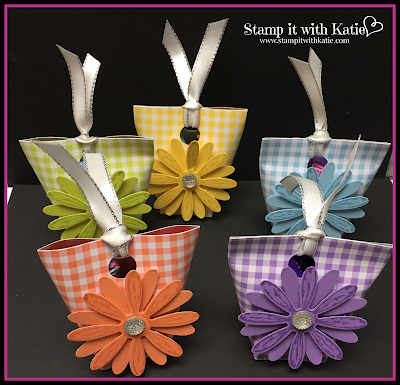 I used this DSP to create these cute little box/bags. They turned out so great! And look at all those fun spring colors! I made these as fun favors for our Cabin Fever event! Doesn't that make you want to sign up for the next event?!? Look I even added the Daisy from the annual catalog-- don't forget about those items! Unfortunately I can't remember where I found this fun party favor to give credit. 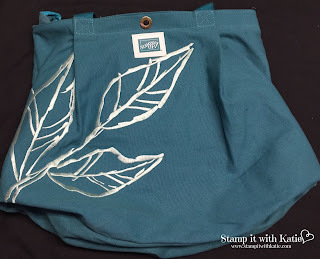 It was in several crafter blogs. Such a fun and cute project. If you have not yet played with the Gingham DSP, you are missing out! I love this paper! 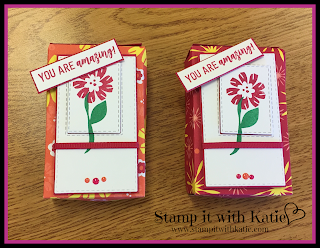 And it's 6X6 sheets, so there are lots of fun possibilities. 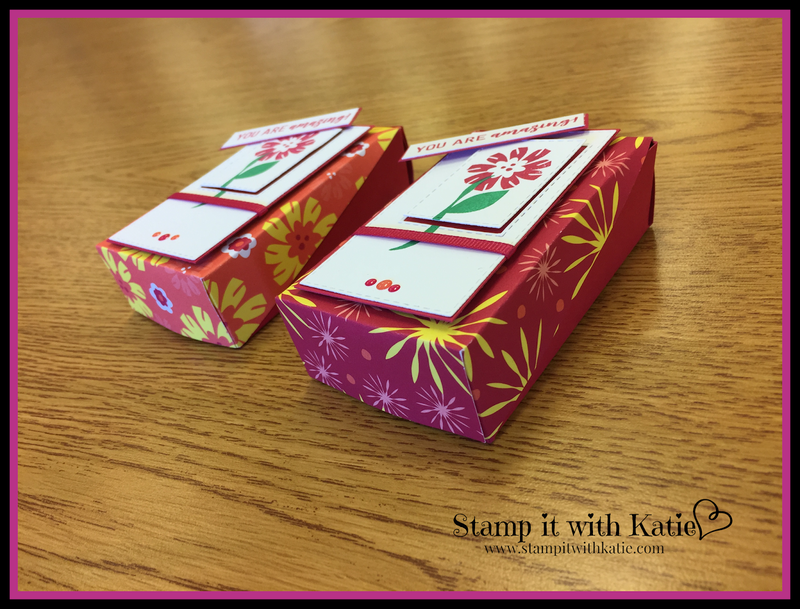 This was a set of cards I made at the Stampin' Sisters Retreat! I loved them so much I just made them with my customers. They were a big hit! 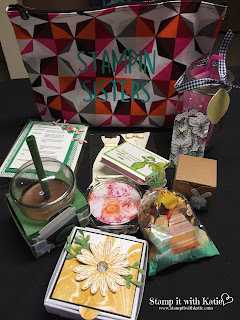 We used the Gingham Gala DSP & the Amazing Life Stamp Set from the Occasions catalog. 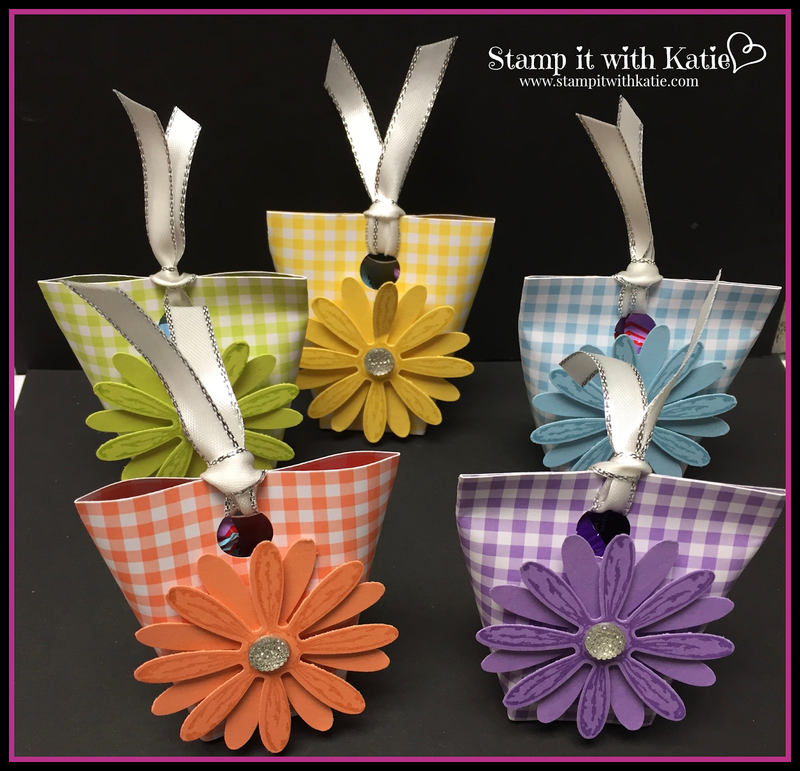 They were dressed up using the Gingham Gala Adhesive Backed Sequins. So fun! 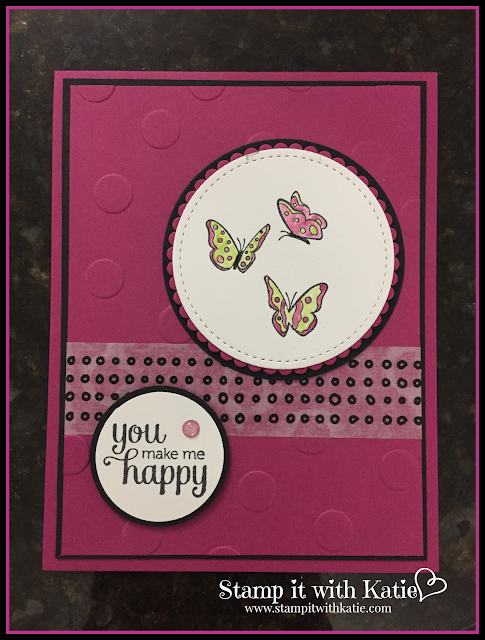 Come back Wednesday to see another project using this fun Designer Series Paper! Don't miss out on Sale-a-bration! Get in on the fun before they are gone! Many items are going fast! Get them while you can! 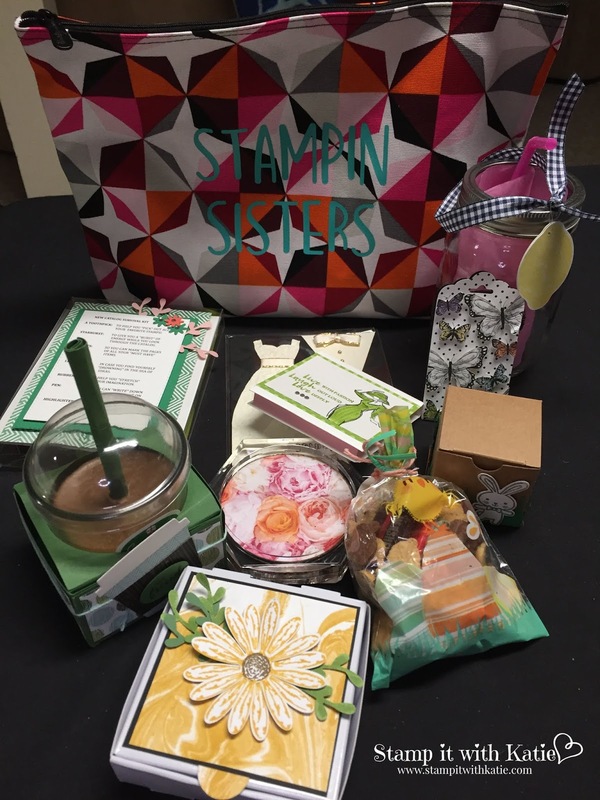 I recently wrapped up this year's Stampin' Sisters Retreat! 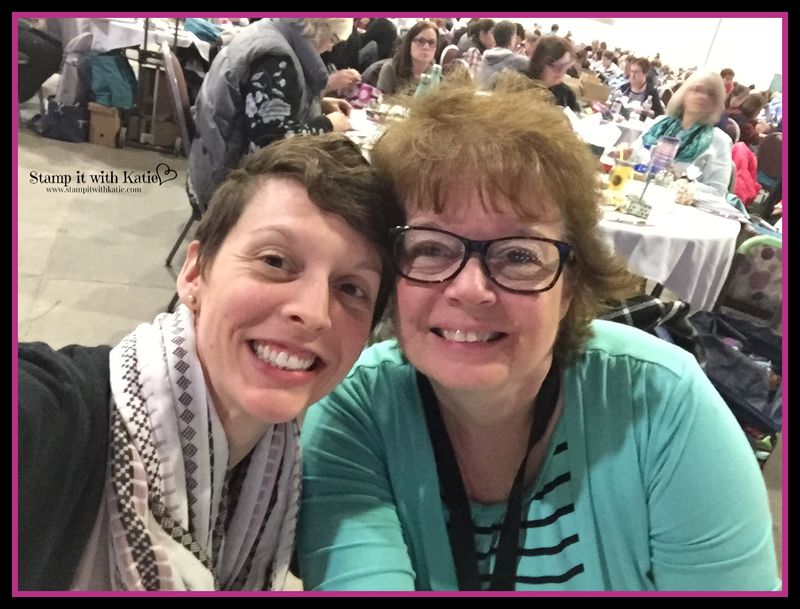 If you follow me, you may already know that this retreat is put on my Peggy Murwin & Tina Rappe. I am their downline and daughter/niece. For the past three years I have helped with cutting and preparing items for the event. This year I cut and packaged 6 projects for 92 fabulous ladies! It was a lot of work but so worth it! I received this lovely card as a Thank You for my work on retreat items. Isn't it just adorable! I especially LOVE the color combo! This card was made by Peggy Murwin, my upline and Mom.